The Wittliff Collections at Texas State University has acquired the literary archives of internationally acclaimed author Sandra Cisneros. As one of America’s leading writers, Cisneros helped launch the Latino literary boom and is the recipient of a MacArthur “Genius” Grant. She is the author of poetry, a memoir, essays, children’s books and fiction, including The House on Mango Street, which has sold more than 6 million copies and inspired generations of readers worldwide. Cisneros was one of the first Latina writers to be published by a major press, and her books have been translated into more than 20 languages. Hundreds of articles and scholarly studies have been written on her work, testifying to her extraordinary talent, vision and influence. “It’s important to me that my archives have found a home where I’ve felt at home and respected in my lifetime,” said Sandra Cisneros. “The Wittliff Collection reflects an admiration and appreciation for Texas’ Mexican and Tejano legacy. Their support of Tejano writing projects and Tejano writers firmed my final decision. “One more consideration: I think it imperative scholars studying my work travel to the world I knew and called home to better understand my work. I’m grateful and thrilled to have my archives at home finally at the Wittliff,” she said. The Sandra Cisneros Papers comprise 250 file boxes documenting the entirety of her literary career. Included are manuscripts for all of her major works, personal diaries, travel journals, correspondence, photographs, videos, awards, publicity material, personal effects, interviews and speeches, original drawings by Cisneros, files on her famous “Purple House” in San Antonio, and the Canon portable typewriter she used to create many of her works. Also present is the original artwork used for the first edition of The House on Mango Street. Born and raised in Chicago, Cisneros moved to Texas in the 1980s and made her home for many years in San Antonio before relocating to central Mexico in 2013. In addition to The House on Mango Street, her books include Woman Hollering Creek: Stories, the novel Caramelo, and two full-length poetry books, My Wicked, Wicked Ways and Loose Woman. She has also published a children’s book, Hairs=Pelitos, as well as an illustrated book for adults, Have You Seen Marie? Her memoir, A House of My Own: Stories from My Life will be published by Knopf in October 2015. The House on Mango Street, first published in 1984, has been embraced worldwide. The book is required reading in many middle schools and high schools, and is part of the standard curriculum at universities across the United States. The novel is taught both in English and Spanish, which makes it an accessible and invaluable teaching tool. The Cisneros Papers at the Wittliff Collections will provide a valuable resource for dramatically enhancing the vitality and visibility of Latino literature. It will also present a significant opportunity to enrich young Latinos, encouraging scholarship, and inspiring young writers to find their own voices for self-expression. Cisneros herself has often led the way in promoting literacy, creativity and social responsibility. She has worked as a teacher and counselor to high-school drop-outs, and she has taught creative writing to people of all ages. She has also fostered the careers of many aspiring and emerging writers through the two organizations she founded: the Macondo Foundation, which serves socially engaged writers, and also the Alfredo Cisneros del Moral Foundation, which provides grants to Texas writers. Cisneros’s writing has been honored with numerous accolades across her 40-year career, including an American Book Award, a PEN USA Award, two National Endowment for the Arts Fellowships, as well as several international prizes. She has received honorary doctorates from three universities. Schools have been named for her in Chicago and Los Angeles. The Wittliff Collections is celebrating this important acquisition by exhibiting a preview selection of treasures from the Cisneros archive. Her entire collection will open for research once cataloging and preservation work is completed. 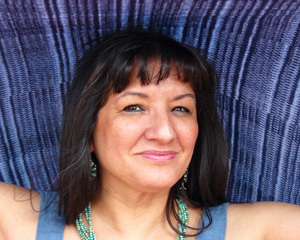 Additionally, the Wittliff will launch a major exhibition showcasing the Sandra Cisneros Papers at that time. The archive’s purchase was made possible, in part, by the contributions of many donors. The Wittliff Collections, located on the top floor of the Albert B. Alkek Library at Texas State, was founded in 1986 by Drs. Bill and Sally Wittliff to collect, preserve and celebrate the literary and photographic arts of Texas, the Southwest, and Mexico. Among the major holdings at the Wittliff are literary papers of Cormac McCarthy, Larry McMurtry and Sam Shepard. The Wittliff also has one of the largest collections of Mexican documentary and fine art photography in the United States. For more information and news updates on the Sandra Cisneros Papers, follow the Wittliff Collections on Facebook.